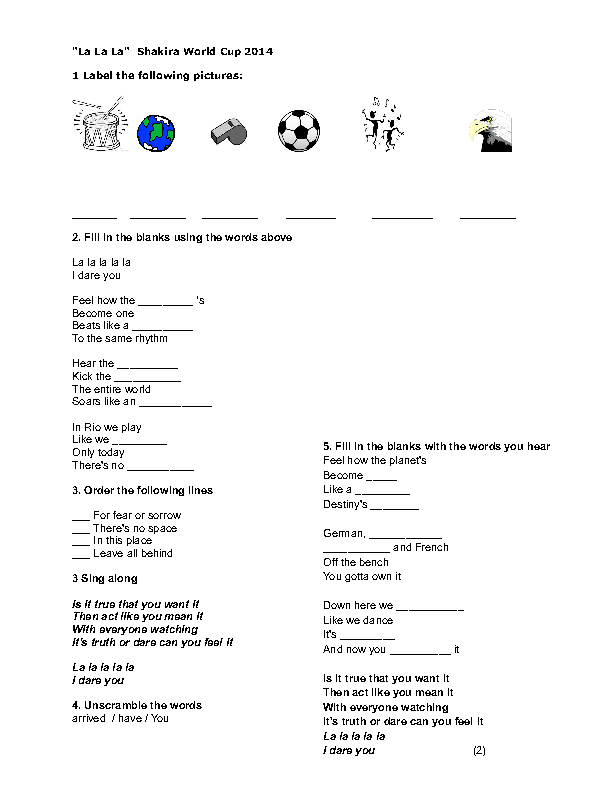 I have just made this worksheet to work with my elementary 6 graders. They love soccer and I can't wait to work with it. 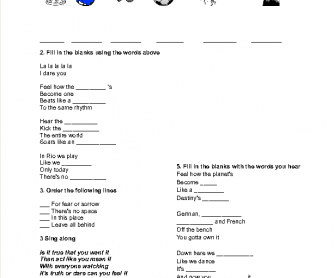 First they have to label some pictures then listen to the song and do different activities such as fill in the blanks, order some lines, and unscramble some sentences. I hope you like it.